I like the word ‘nadir’. “The point of greatest despair” notes the dictionary. Now I won’t say that Buster Keaton in The Sidewalks of New York is his worst film– he’s pretty much comatose throughout What – No Beer?— but as a representation of where his career was, of his creative abilities, of everything that he saw himself standing for, The Sidewalks of New York was diametrically opposed to it. Keaton plays Harmon, a slumlord in New York City. It turns out his tenants are far more threatening than he is, and, after he meets a pretty young blonde tenant who’s raising a beast of a brother, Harmon decides to open a gym for the kids to play in and try to influence their lives for the better. They destroy the place before deciding that Harmon is an okay guy, and eventual unite to help him after a lengthy ridiculous plot about robberies concludes with Harmon as the fall guy. Well, fall girl. Sometimes these films have to end with Buster Keaton in a dress, there’s no two ways about it. The Three Stooges later reused this courtroom bit. And did it better. And, uh, yeah. That’s about it really. There are a lot of extended sequences of jokes that occasionally try to break up the convoluted plot. 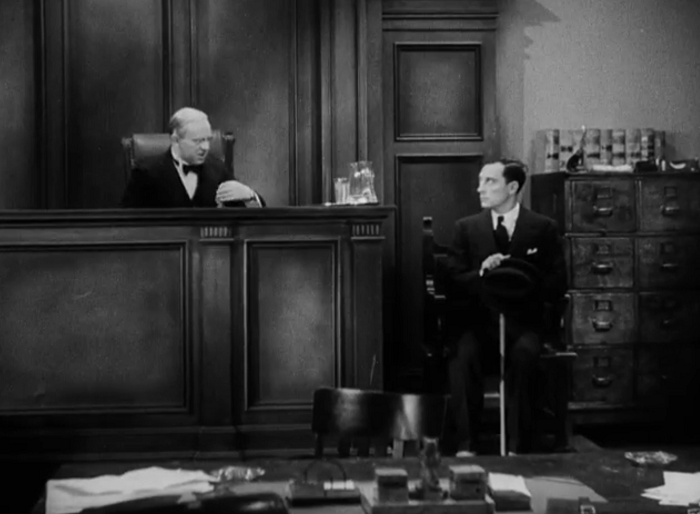 One sees Buster in court where he’s so love struck and dumb that he can’t even testify without making a mess of things. Another has him attempting to carve a rather stiff duck. Results are fairly predictable. 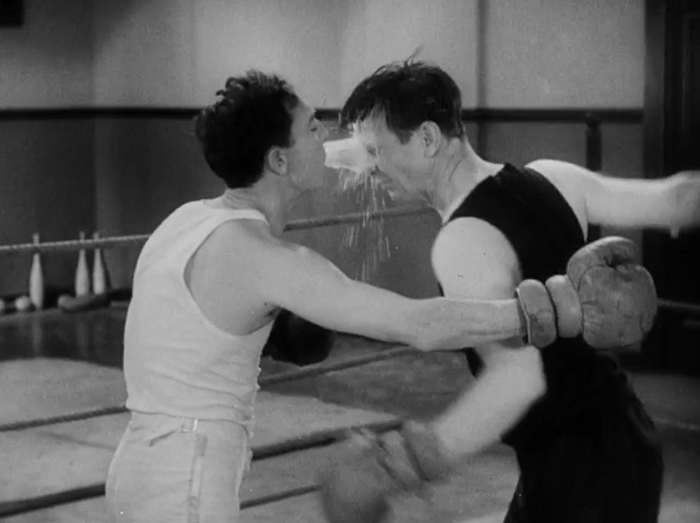 One long sequence involves Keaton trying to win the respect of the neighborhood boys by participating in a boxing match. Keaton’s other boxing movie, Battling Butler (1926), wasn’t one of his stronger pictures to begin with, so adding in words doesn’t seem to up the ante. He gets to show off his physicality, but without much effect to it. The formula for the picture grinds down every scene, and the rather annoying subplot about a local thug who wants to keep Harmon from succeeding keeps popping in to drag things out a bit more. Where a number of his films simply have Keaton fighting the insurmountable forces of chaos and nature, surviving on wits alone, here’s he’s against a bad Jimmy Cagney pastiche. 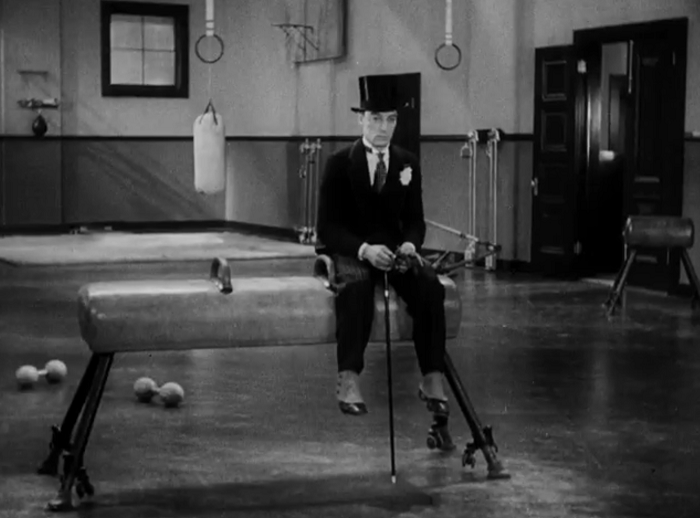 None of the sequences– save for Anita Page slugging Buster Keaton a good one– really amount to much. The film’s idea of New York is best described as “Our Gang-esque” where every boy is tough talking and ready to slug another guy, but deep down they’re really all good kids. Everyone in this film is a good person save for the crooks, and they get what’s coming to them by the last act. Keaton’s silent films transcend rationality and function on crazy, fun dream logic. Keaton’s best talkies at least turn him into an amusing, weird creature trying to invest into the madness surrounding him. The Sidewalks of New York is a voyage into the mundane. Whatever Keaton’s goals as a filmmaker and an actor, whether it was to create wonder or even just simple amusement, are totally forsaken here. Here he’s just another leading man– one who falls down more often than most– but still a pawn in a larger game. The gangs of kids are cuter than him, and Anita Page, while gorgeous, shares no chemistry with the great stone faced comedian. 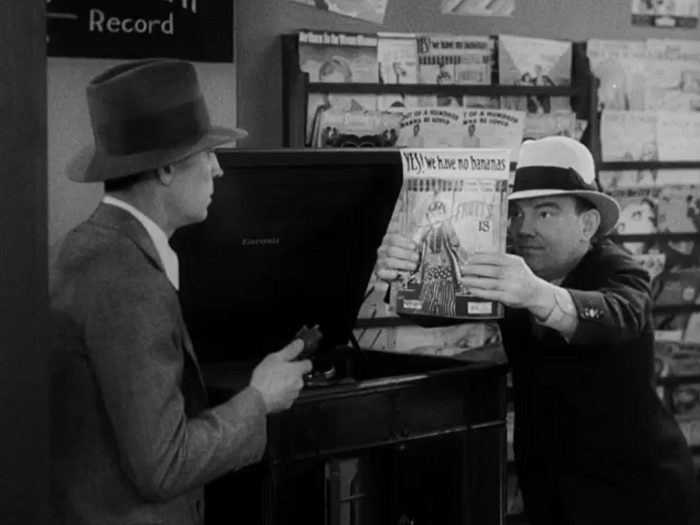 Cliff Edwards gets some good moments with Keaton as his sidekick this go around– he’s no Durante, thank god– and there’s some real charm to him, like in the scene where helps Harmon propose marriage with the help of sheet music titles. But such moments of whimsy are fleeting. I’ve been trying to give the Keaton talkies the benefit of the doubt, but this one is a straight line on a heart monitor. The nicest thing you can say about The Sidewalks of New York is that no one died making it. Having said all of that, yes, this film was very popular at the box office. You can’t be too surprised considering how depressed everyone was at the time, even this must have looked cheery. This one is apparently either obscure or people just don’t like talking about it because it depresses them so much. I’m going to make a bet on the latter. After some marginal digging around, I did find one positive notice for the film at the rarely-updated What Would Buster Keaton Do?. 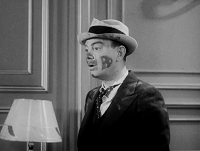 They note many of their favorite gags, and their relief that this one doesn’t rely on Keaton’s dreary ‘Elmer’ persona that haunted him throughout most of his tenure at MGM. 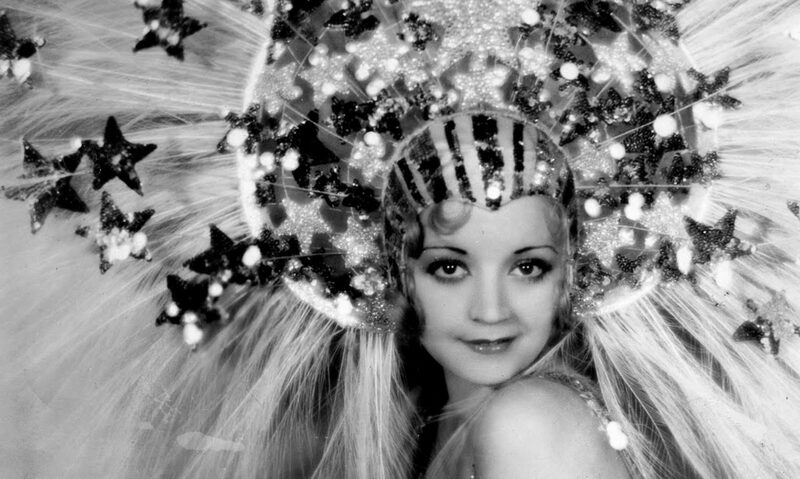 Here is a nice biography about the film’s co-star, Anita Page. Dr. Macro has some publicity stills and a few unflattering film posters. This film is available from Amazon, Warner Archive, and is currently streaming on Warner Archive Instant in HD, where I caught it. It can also be rented from Classicflix. Why you would do any of these to yourself is beyond me. I like Keaton but do you feel as though these mediocre early talkies really sully his rep compared to Chaplin and Lloyd? Lloyd’s talkies are pretty decent actually, with Movie Crazy being an outright classic. Chaplin of course never really transitioned to sound until 1940, so it’s kind of hard to compare. I think the problem is that Keaton’s persona just doesn’t work in sound movies. At all. In silents his deadpan persona is a fun contrast to the wild slapstick and stunts going on. Whereas in sound he has to now deliver dialogue and it’s just this boring guy with zero emotion delivering lines, haha. As much as I’ve said L & H are overrated I will give them this much: They were the best silent comics when it came to making the transition to talkies. I don’t disagree with what you’re saying. Lloyd and Chaplin both had enough wealth that when they went into talkies, they did it on their own terms. Keaton didn’t have that luxury, and becoming a gun for hire certainly didn’t help him any. You say his deadpan personality doesn’t work with sound, and I agree: he’s best as a cipher whose unmoving face masks his reaction to the insanity all around him. At MGM, they decided to dumb that down to the point in several of his films where you’re certain you’re supposed to be laughing at a mentally handicapped man. I don’t think it really sullies Keaton’s reputation nowadays as much as it had when these films were more widely available than his silent movies. Back then I can see why he slipped from the public conscious. His better talkies– and you can tell he’s in trouble, since no one agrees on what they are– at least give him plenty of punchlines. His worst seem to rely on him carrying everything, from the plot to the romance. It’s deadening to watch. But now most people just ignore his talkies, which is pretty easy to do. Even Keaton fans probably try one or two and run the other way screaming, save for a few appreciations. Can’t say I blame them. I’ve only ever seen one of his talkies, and hearing all this, I’m glad of it. If you’ve ever wondered how to lose a lot of blog hits, I highly recommend just ragging on Buster Keaton for a few solid weeks. It seems to work really well. Yeah, doing that to any of the Silent Holy Trinity can put one in danger of a most painful death at the hand of crazed fans lol. If the internet has taught me one thing, it’s that people take their silent comedians most seriously. The number of blogs I’ve found extolling how hot Buster Keaton was will never stop astounding me. I’m pretty sure if I said some of my feelings on Chaplin IRL, I’d end up in a knife fight.